Bonhams has announced the consignment of a very rare and historically significant motorcycle, the 1949 Indian-Vincent prototype, to its 2017 Las Vegas sale. The one-and-only Indian-Vincent, essentially an ‘Americanised’ Series C Rapide. 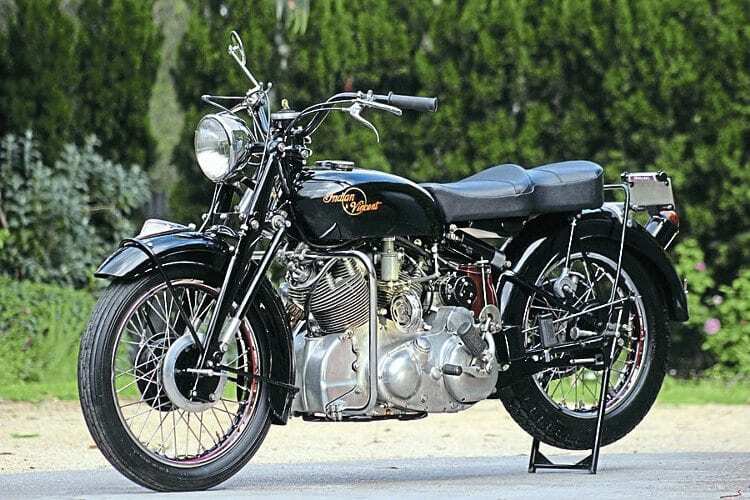 In 1948 then manager of Indian Motorcycles Ralph Rogers and Philip Vincent agreed on a joint venture to manufacture and sell a hybridisation of their machines to the American market. Two prototypes were created as a result: the better known Vindian – essentially an Indian Chief with Vincent motor, and the Indian-Vincent – essentially a rebadged and ‘Americanised’ Vincent Rapide.